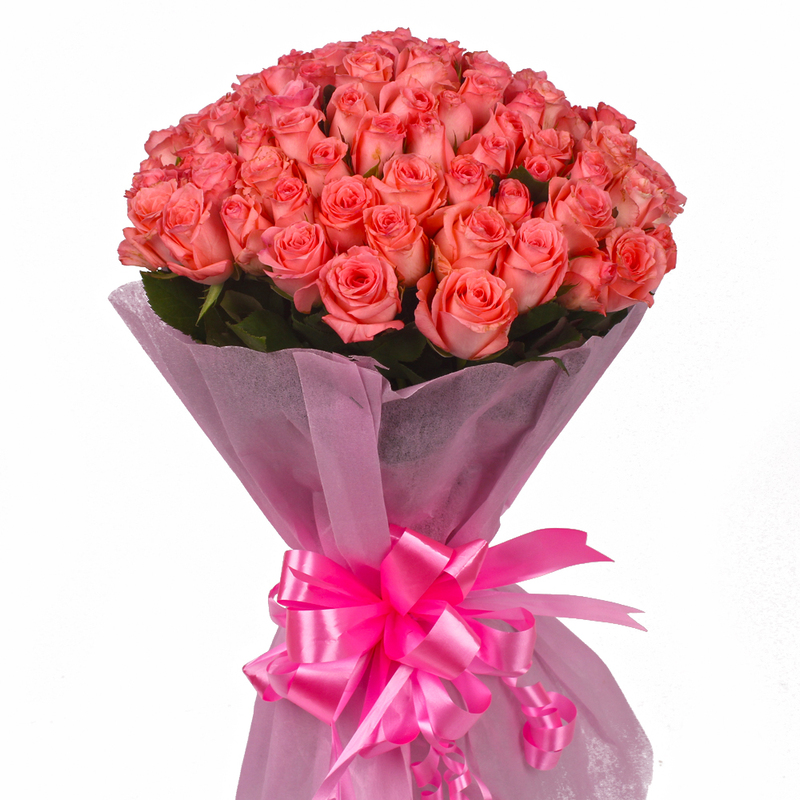 Product Consist : 75 Light Pink Roses with green fillers in Cellophane Wrapping with Ribbon Bow on it. 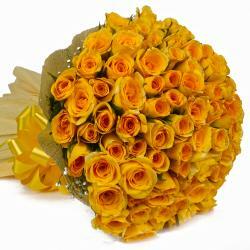 Sometimes the only flower that can truly symbolize your sincere feelings is the love and care. 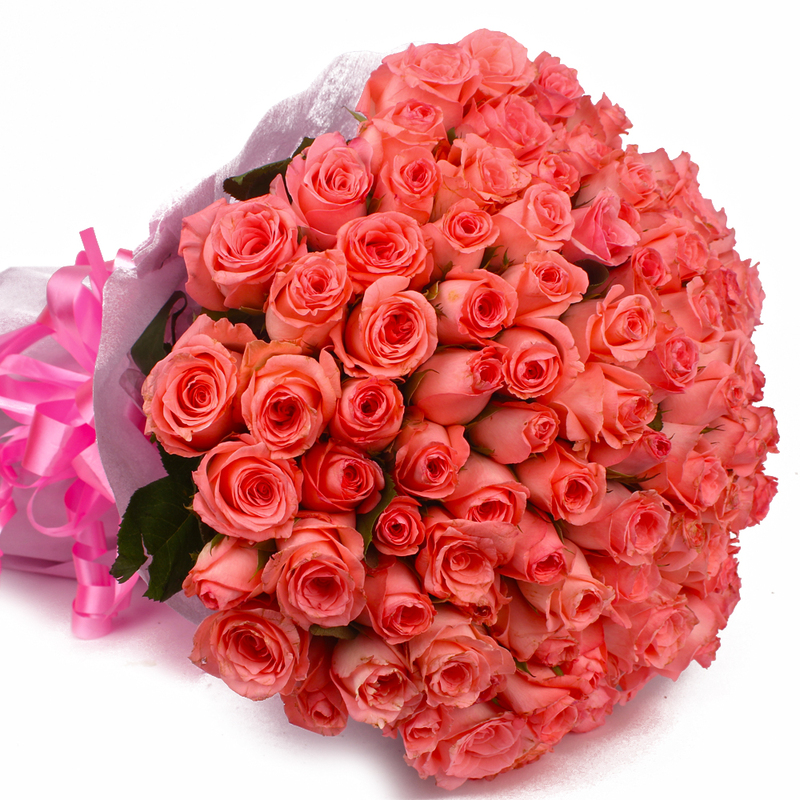 Sending pink roses from Giftacrossindia to yours someone special can relay feelings of love, affection or even friendship depending on the color and the message. 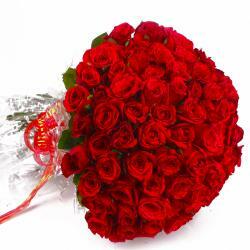 Occasions are Birthday, Anniversary, Get Well Soon, Lohri, Fathers Day etc. 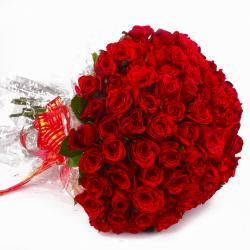 Whether they live near or far, a beautiful delivery of freshly picked roses can show them just how much you care. 75 stem of roses In the cellophane packing with matching color ribbon bow and lots of fillers. 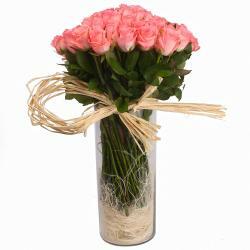 Product Contains : 75 Light Pink Roses with green fillers in Cellophane Wrapping with Ribbon Bow on it.